A new exhibition just for little cartoonists, color lovers and candid story tellers. Introducing “Low + Slow,” our newest exhibition featuring original illustrations from the popular Lowriders comic book series and the much anticipated ¡Vamos! Let's Go to the Market! by award-winning author and illustrator Raúl The Third. Created with simple Bic ballpoint pens, Raúl’s vibrant and playful illustrations celebrate childhood literature and the Latino cultural experience. We are thrilled that this exhibition coincides with the release of Raúl’s first authorial project, ¡Vamos! Let's Go to the Market!, a bilingual comic book chronicling the bustling market life of a border town. Raúl’s vibrant illustrations provide so many wonderful learning opportunities for artists of all ages. 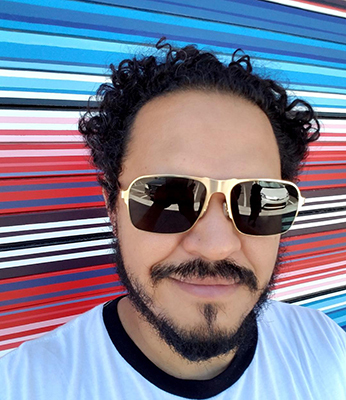 MinniArtists will be viewing this exhibition all spring long to learn about storytelling in visual art and basic art elements used in Raúl’s work, such as line, repetition and color. Stop by Minni for a book signing with Raúl on May 3, 5–8pm, and join us for Minni ComicShop on May 5, 10–11:30am, for a book reading of ¡Vamos! Let's Go to the Market! by Raúl The Third himself and a guided lesson in comic art.